Freight rates are on the rise, largely due to a capacity crunch that is affecting all modes and most lanes. The reasons for the capacity issues include but aren’t limited to: escalating tariffs, a lengthened peak season, Chinese Lunar New Year, the continued growth of e-commerce, weather or natural disasters, and most recently a governmental shutdown. Air rates are expected to rise about 3% in 2019, while ocean rates expect to rise 4-5% per container. As far as ground transport, truckload rates may go up as much as 5% in 2019, while less-than-truckload rates are expected to go up 4-6%. On the truckload side we are seeing a difference of about 3% between contract rates and spot quotes, with spot quotes being the lower of the two. By auctioning your freight, you can continue to drive down the spot quote rate and maximize your transportation dollars even in an extremely tight market. An e-Auction of your freight allows carries to bid on specific loads, but unlike a normal spot quote they will see what the lowest cost is and can rebid to be more competitive. Despite the increasing market rates and capacity issues, we are seeing savings of over 25% in many auctions over the last few months. 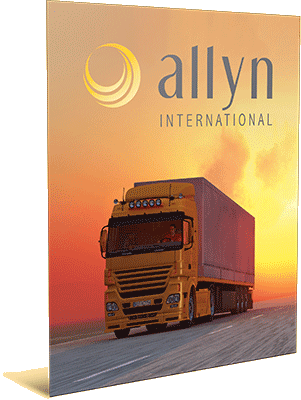 Allyn has created a standalone e-auction module within ALA, Allyn’s homegrown TMS. The e-Auction module contains the following features and will have you realizing additional savings in no time. If you would like a demo of ALA’s e-Auction functionality, or if you are interested in trying a few auctions at no cost, please contact sales@allynintl.com.